When watching TV shows, especially courtroom or legal dramas, you will notice that characters will use the words slander or libel when referring to false statements about themselves or their companies. These are real legal terms, but there exists an important distinction between them. As a whole, slander and libel fall under defamation laws. In California, defamation has been delineated as the publishing of a false statement so that the victim’s reputation is harmed or tainted. Furthermore, the individual accused of defamation must have done so with negligent intent. A foundational difference between slander and libel is that slander refers to verbal statements and libel to written statements. You may wonder why defamation is so important, given that everyone at some point tells lies. 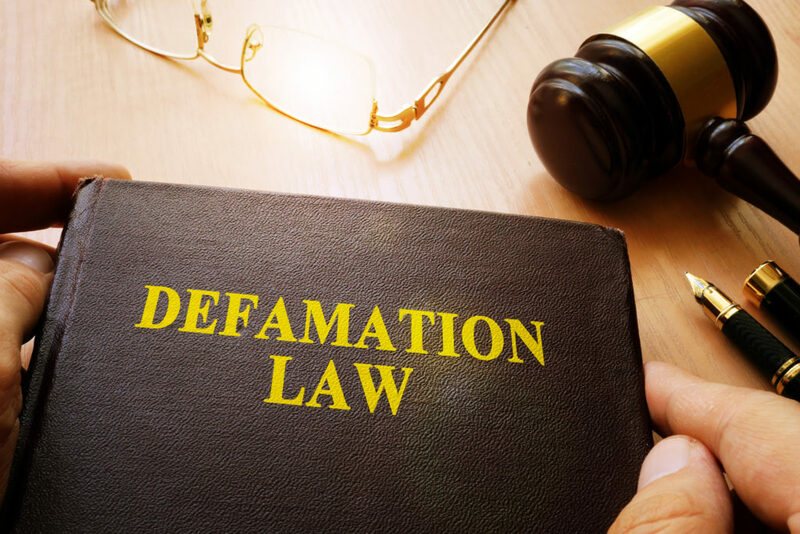 Defamation is a serious issue as it can affect the reputation of an individual or a business and leave permanent ramifications, which can affect their future livelihood. In order for the plaintiff to prove the defamation case, the lawyer must show the following: the accused intentionally, and with negligence, published false facts such that there was an injury or damage to the victim’s reputation. The communication must be to a third-party and be of a factual basis – a person’s opinion is not open to a defamation suit. Furthermore, the information published as facts must not have been privileged, otherwise the defendant can argue that privileged information cannot be included. If the plaintiff’s case is proven, they can be awarded various damages. These damages can include damages to cover the plaintiff’s shame and reputation, work, or property, or be of a punitive nature such that the defendant who has committed slander or libel is punished by the judge.